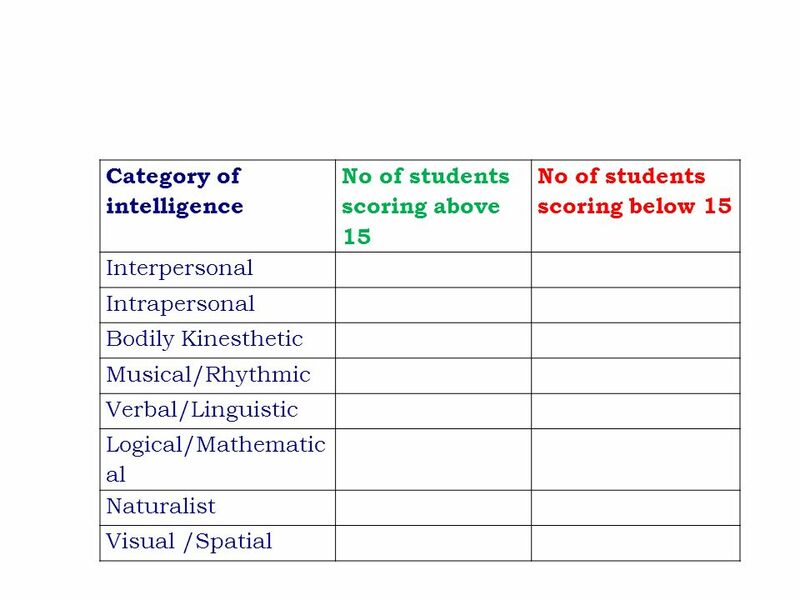 The Impact of Training the faculty in Learning Styles and Multiple Intelligence Aplication Dr. D. G.Kulkarni Professor and Dean n( MBA Dept.) Jain College. 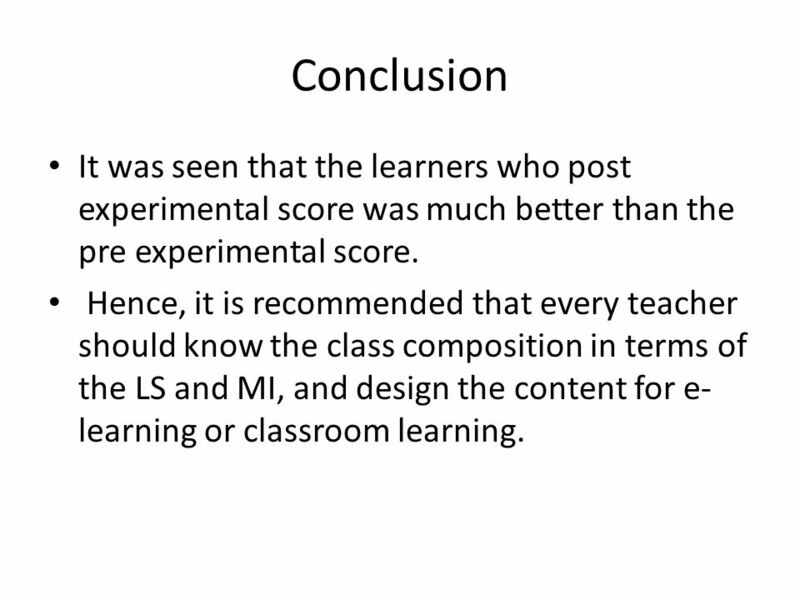 11 Conclusion It was seen that the learners who post experimental score was much better than the pre experimental score. 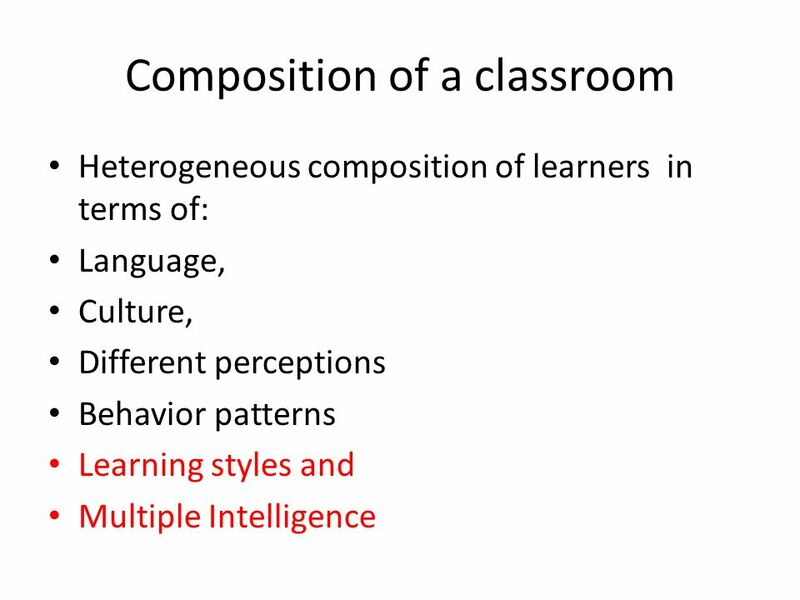 Hence, it is recommended that every teacher should know the class composition in terms of the LS and MI, and design the content for e- learning or classroom learning. 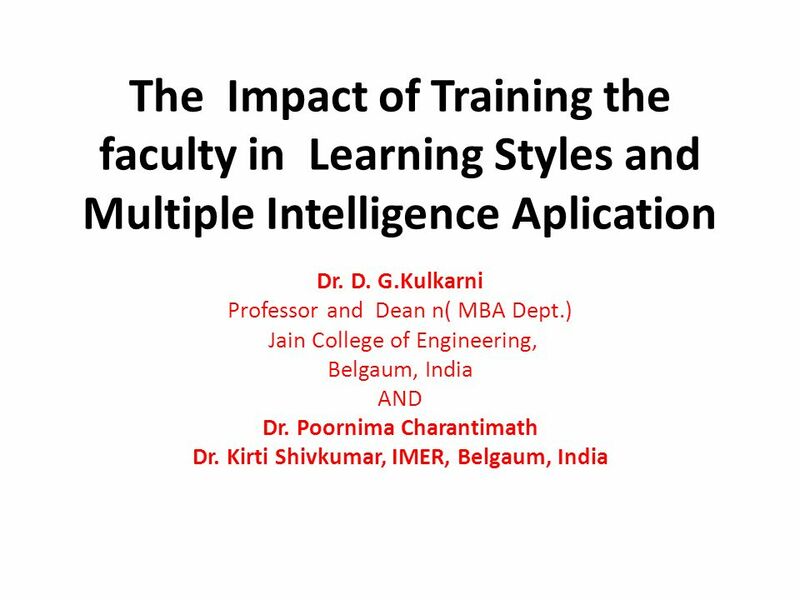 Download ppt "The Impact of Training the faculty in Learning Styles and Multiple Intelligence Aplication Dr. D. G.Kulkarni Professor and Dean n( MBA Dept.) Jain College." T-learning- A blend of C-learning and U-learning for higher education Presenter Prof. D. G. Kulkarni Professor and Dean Department of MBA Jain College. 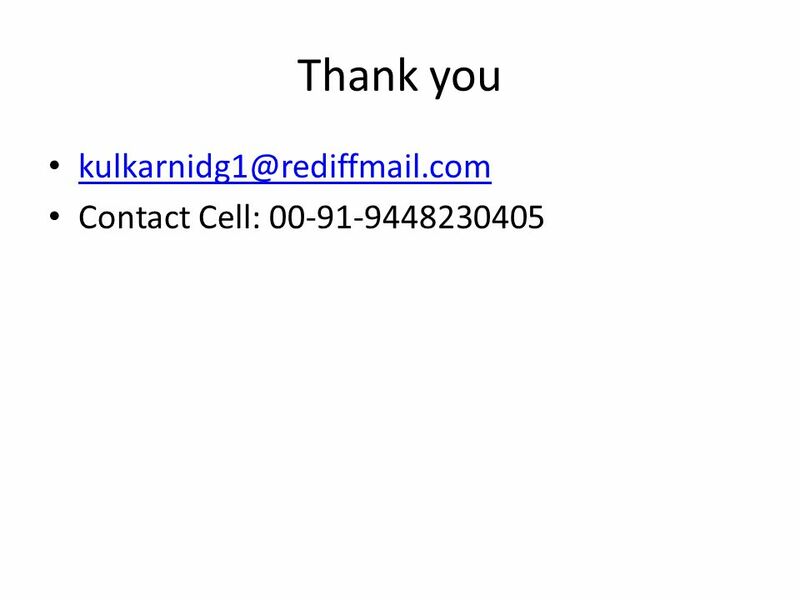 Impact of Training the faculty in Avante Garde delivery for better knowledge transfer Presenter Prof. D. G. Kulkarni M.E.,MBA.,Ph.D.,Dip.T&D.,PGDM Professor. 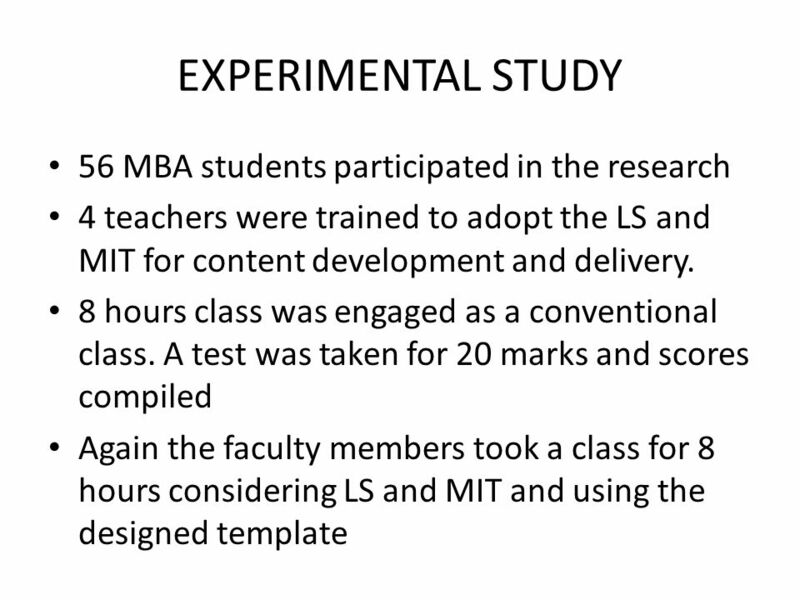 The impact of training learners in efficiently adopting dominant learning styles to reinforce knowledge acquisition Deepak G. Kulkarni School of Business. 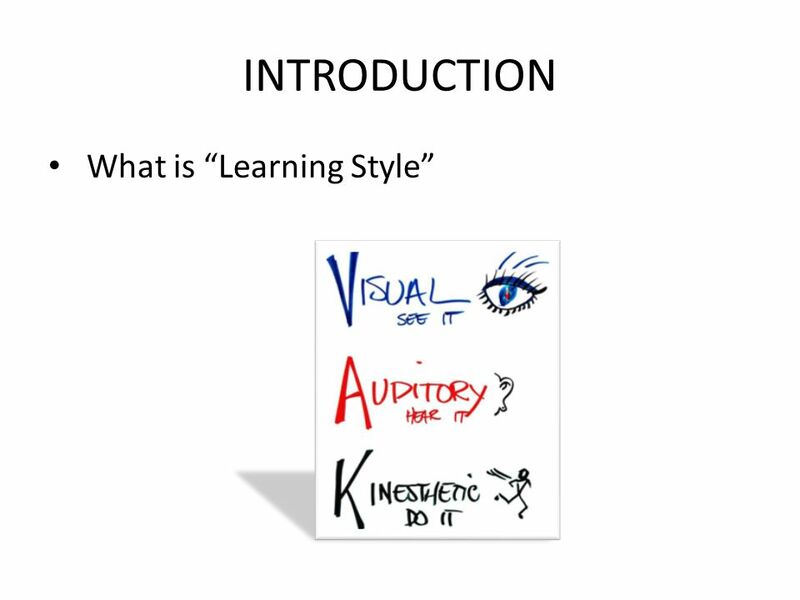 Evaluating the Different Learning Styles: How Students Learn to Enhance Scientific Knowledge and Understanding Belinda R. Hauser 1, Danyelle Winchester. 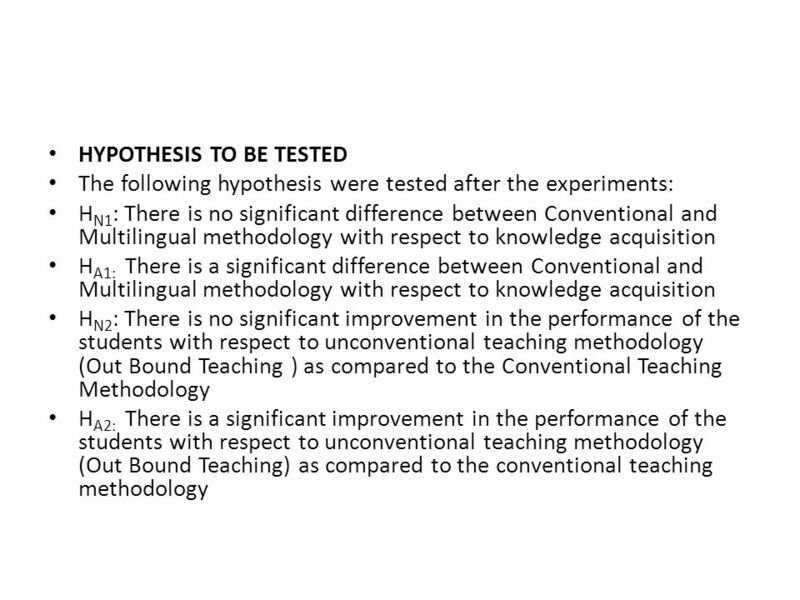 Differentiated Instruction with Technology LACUE, 2006 Mary Moore Terri Carpenter. 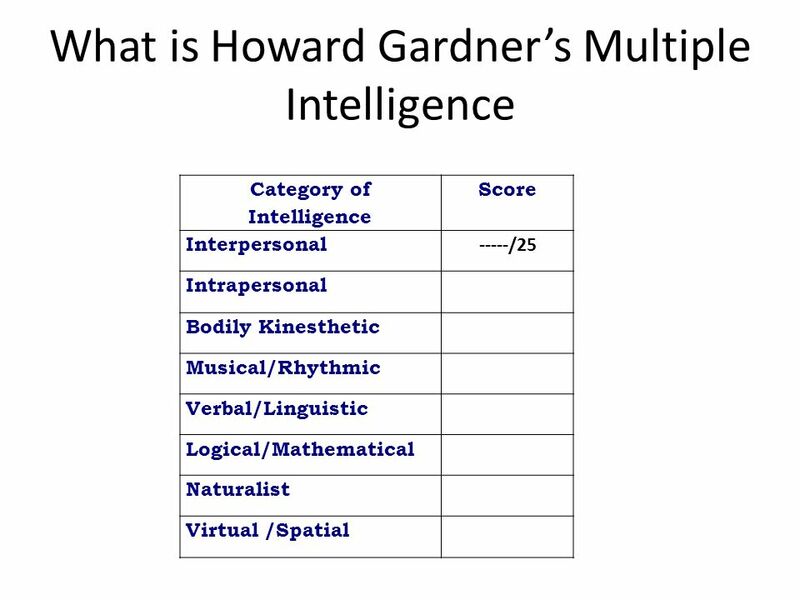 USE YOUR BRAIN - Multiple Intelligences Who is intelligent? Unleash the Genius Hidden within you. A winner is someone who recognizes his God-given talents, works his tail off to develop them into skills, and uses. 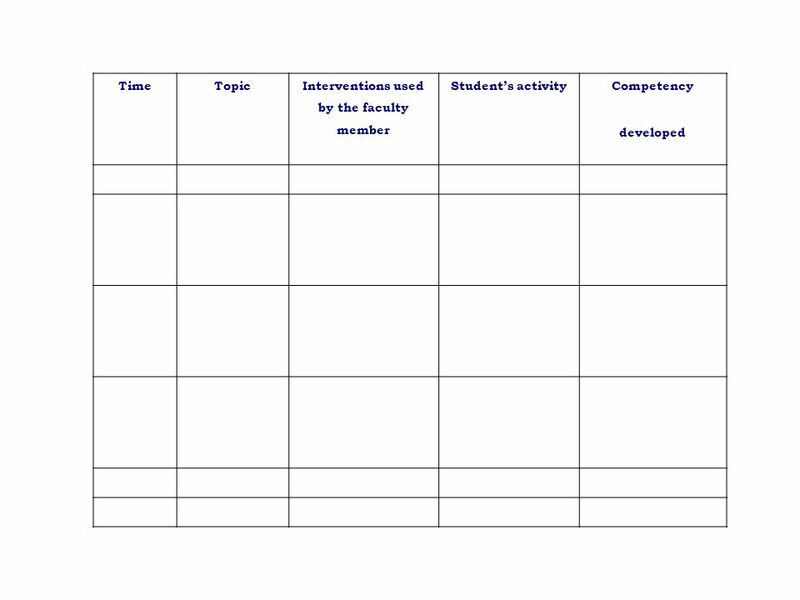 Delivering assessment-based instruction that is differentiated to intentionally support the strengths, needs and interests of each student to improve student. 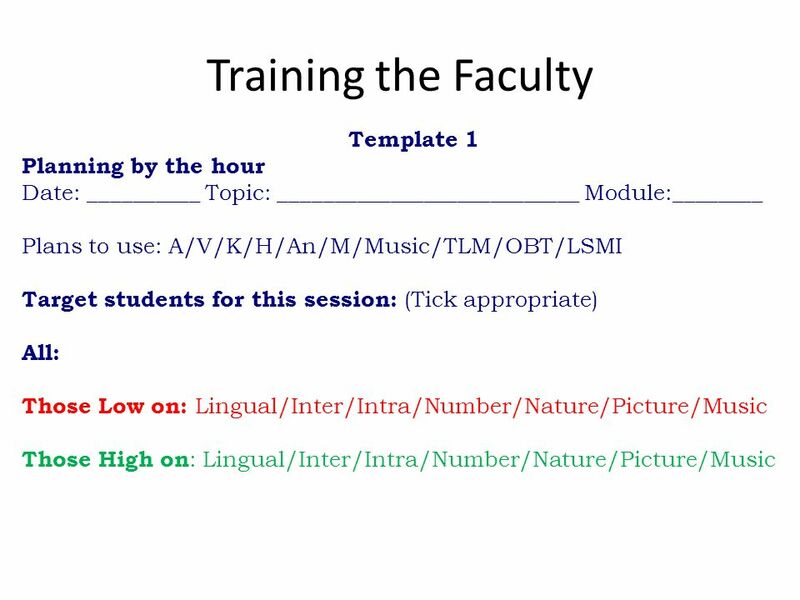 0 TL 1071 – Implementing Learner-centered Teaching for Student Success PowerPoint Section 2 Dr. David E. Diehl THE CENTER FOR TEACHING & LEARNING EXCELLENCE.